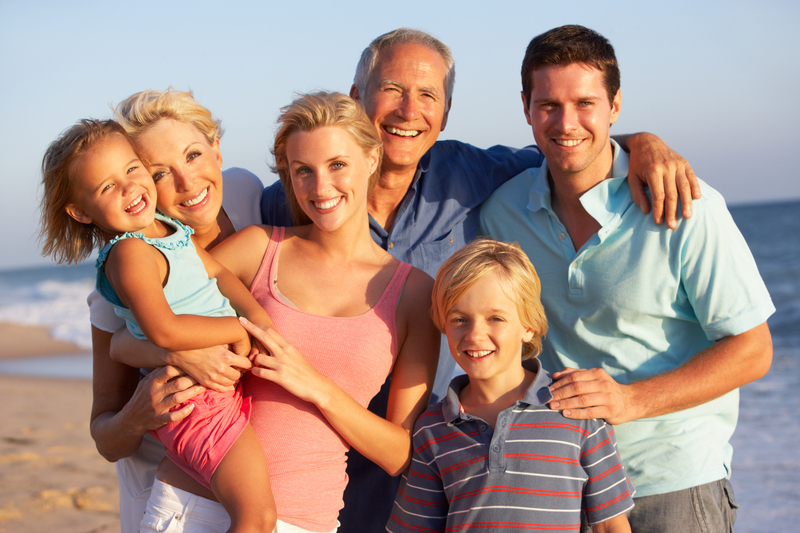 Our team at H & M Dental understand that finding a family dentist in Toronto can be a challenge. Patients with children want a dentist who understands and enjoys being around children and who also can successfully deliver effective adult dentistry in one office. Our enthusiastic family friendly team at H& M Dental are ready to help. Our Downtown Toronto family dentistry team take care to establish the trust of our young patients. We are calm and gentle and make sure our pediatric patients’ dental experience is a positive one. We are happy to show our young patients our dental tools to engage them and allow them to interact through the dental appointment and we use child friendly language when explaining dental treatments. • First Dental Exam – To help children get used to the dentist office and train them how to effectively brush and floss. • Cleanings – Gum disease is becoming a big problem contributing to overall diminished health. Although gum disease most often effects patients over 20, establishing a good relationship with a dentist at a young age and learning good oral hygiene will help children avoid gum disease in the future. • Sealants – A sealant is a thin layer of plastic applied to the grooved surface of a tooth. Dr. Ben typically recommends sealants for back molars commonly used for chewing as these are prime places for cavities to develop. • White Fillings – Composite or tooth colored fillings are placed in parts of teeth where a cavity was present. Dr. Ben gently removes the decay and fills it with composite resign so no more bacteria can collect. • Fluoride Treatments – Fluoride is a naturally occurring element that strengthens teeth and helps fight tooth decay. Our H & M family dental team often give children some Fluoride to rinse their mouths with after their dental exam or cleaning. • Orthodontic Consultations – Even if your child still has his or her baby teeth, Dr. Ben can often foresee what if any orthodontic treatment your child will need in the future. Occasionally, some bite problems can be discovered and resolved before the child’s permanent teeth grow in. • Sports Guards – Sport Guards are responsible for saving many teeth. If your child is involved with high contact sports, consider getting them a custom made sports guard that will fit their mouth precisely. Whether you are a Child or Adult, we want you to feel comfortable and at ease. In order to achieve this we practice using technology that allows us to provide minimally invasive dental appointments. Some of our advanced technology includes panoramic and digital x-rays and Diagnodent to detect cavities early. We also offer Nitrous Oxide upon adult request. Have Questions or Ready to Make a Dental Appointment? Conveniently located within walking distance of the Toronto Coach Terminal we are pleased to serve patients from all across town. If you are looking for a family dentist in Toronto, give us a call or stop by our Downtown location today.